Lets you change from headset to speaker phone, instantly. Is there a better alternative to AudioSwitch for Skype? Is AudioSwitch for Skype really the best app in Internet Utilities category? Will AudioSwitch for Skype work good on macOS 10.13.4? Go from headset to speaker phone and back, in a SNAP! Using your iSight and want to switch to your wireless headset for some privacy, or to roam around the house? 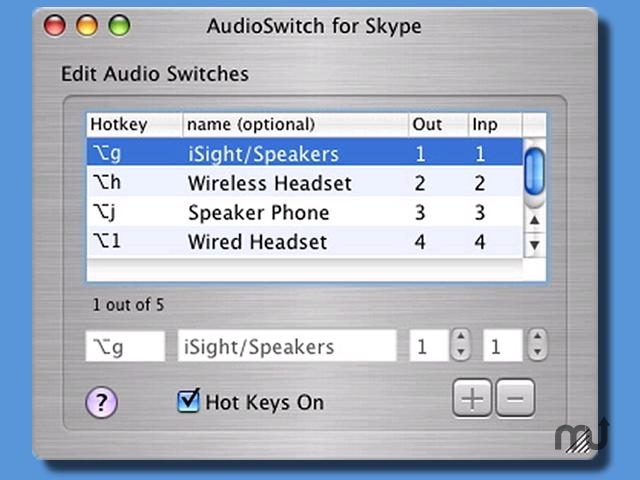 AudioSwitch lets you change from headset to speaker phone, or any other audio device, instantly --just by using Hotkeys (keyboard shortcuts) or voice command. AudioSwitch for Skype needs a rating. Be the first to rate this app and get the discussion started!